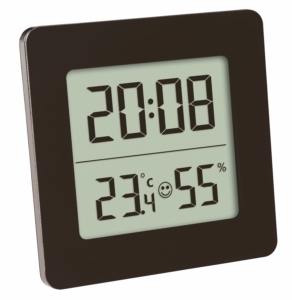 With this functional thermo-hygrometer, you can see the room climate, outside temperature and time at a glance. 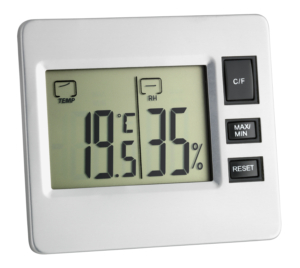 By controlling the temperature and humidity in living areas with targeted heating and ventilation, you can create a pleasant and healthy indoor climate and even save on heating costs. 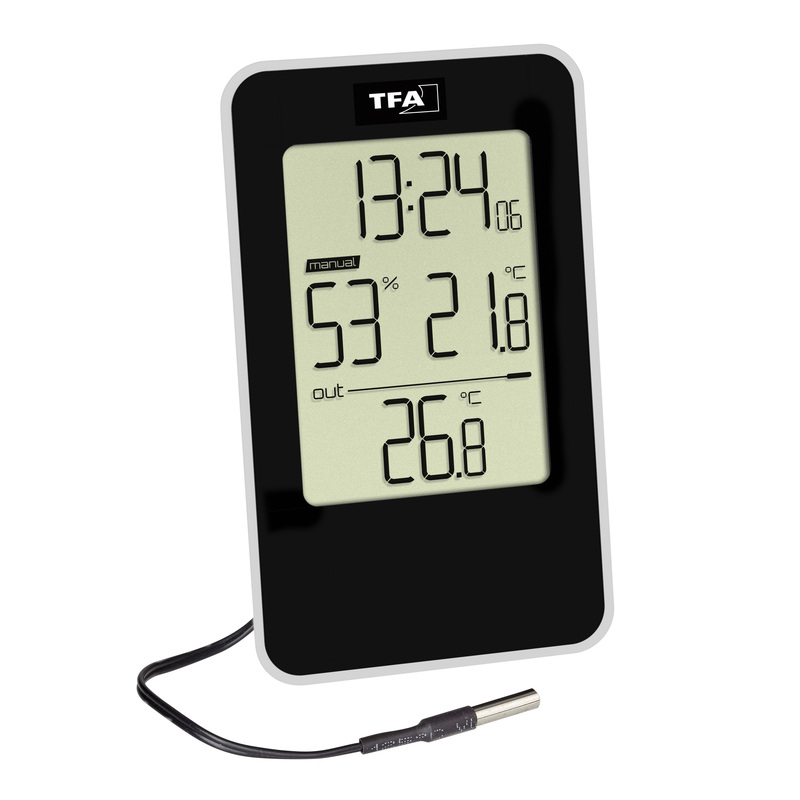 At the same time, the outdoor temperature can be measured via the cable sensor. 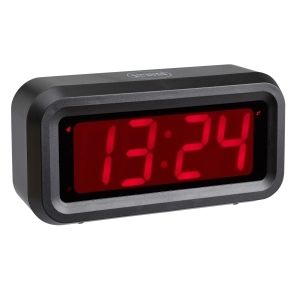 When placed at the window, the sensor cable is simply led to the outside. 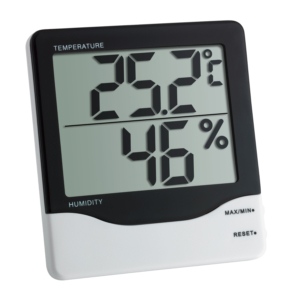 The stored max-min readings are automatically reset daily or they can also be deleted manually. 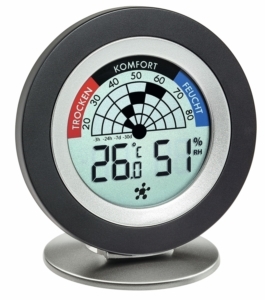 The possibilities of application for the cable sensor are manifold and not limited only to the outdoor temperature. 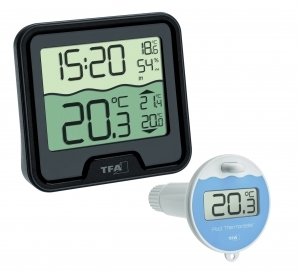 Thanks to the large measuring range, the waterproof sensor can be used also to monitor the temperature of the refrigerator and freezer, or to measure the temperature of the water in the aquarium.